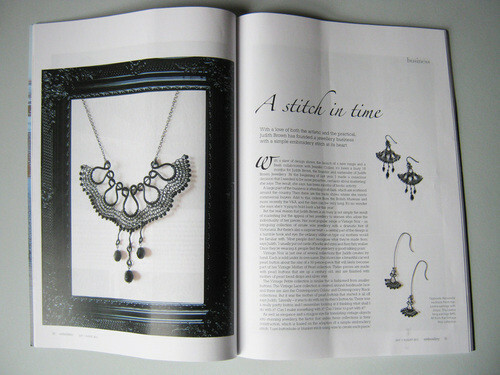 I'm so excited to be featured in this month's Embroidery magazine. As an Embroidery graduate it feels particularly special to me. 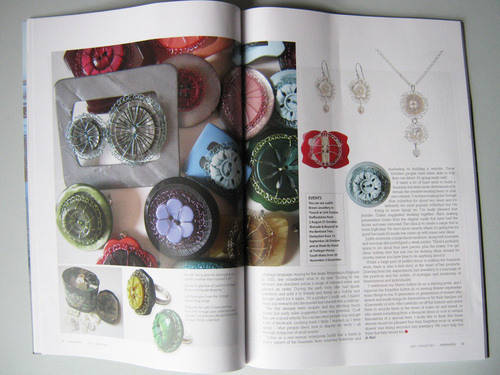 There's a whole 6 pages, with lots of images of my jewellery too. 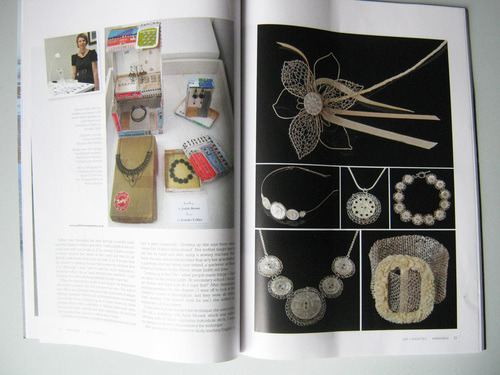 Here are a few quick photos, I will upload a pdf version in a few weeks time, in the meantime the magazine is stocked in lots of art and contemporary craft galleries and shops. The shy, nervous 19 year old Judith, excited to have been accepted for her embroidery degree in Manchester, would be thrilled to see this... as am I.